With the complexity & competitiveness of agriculture & sheep production increasing, we have listened to our clients who have identified the need for more advice both on farm & around the table. That is why Moses & Son have expanded our services to include a sheep & wool consultancy. Utilising our staff’s knowledge & experience coupled with Industry specialists, we are now equipped to assist you with your whole sheep enterprise. Our aim is to provide real, practical solutions to issues that you may be facing. Our team is passionate about sheep & wool & motivated to work with industry leaders to discover & implement the changes/enhancements that are needed to ensure the future of this great industry. 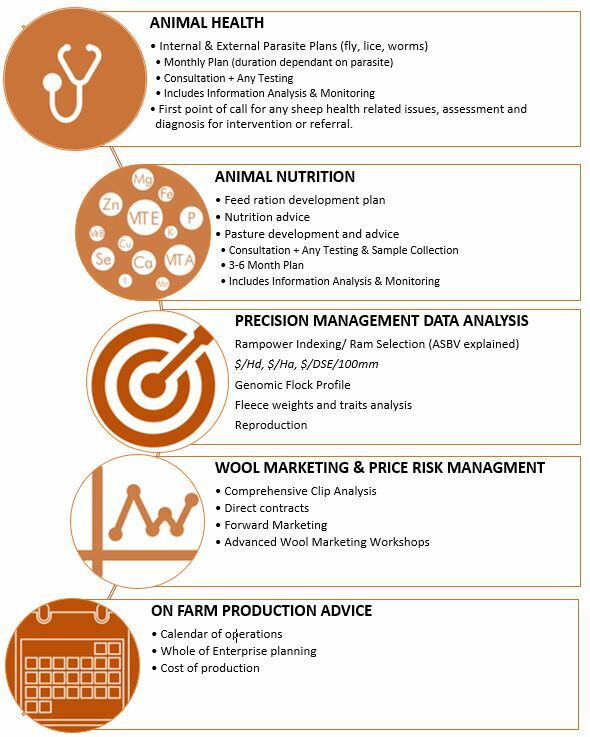 Our Wool & Livestock Specialists can be your first call for animal health, nutrition queries, animal selection or reproduction advice. Identify areas of opportunity within the production system which could be enhanced, & help design & implement a strategy to modify & improve. Increase the use of new technologies within the sheep & wool industry. Assist with the curve balls & unplanned events that effect your operation. Are you faced with an everyday issue and unsure how to tackle it? Or have you heard about something “new” and wouldn’t mind giving it a try, but don’t know where to start? Our Consultancy Service is based on providing real, practical solutions.